Are you a Main Contractor or a Sub Contractor ? RCT- Relevant Contract Tax formerly known a C45 tax has & continues to impose a large burden on Businesses in general. It applies to all manner of Construction Operations together with Meat Processing & Forestry. The legislation defines Construction Operations very widely and therefore if you are employing Subcontractors or you are being employed as a Subcontractor it will almost definitely affect you. It also applies to non resident Contractors or Sub Contractors carrying out work in this country. You can be both a Main Contractor & a Subcontractor. Failure to operate the system properly can and does lead to large penalties and interest being applied if audited. If you are a Subcontractor you should not charge VAT on your invoice to the Main Contactor. The invoice issued should replicate a normal VAT invoice but without a VAT amount being added. It should carry the endorsement that VAT on the supply is to be accounted for by the main contractor. 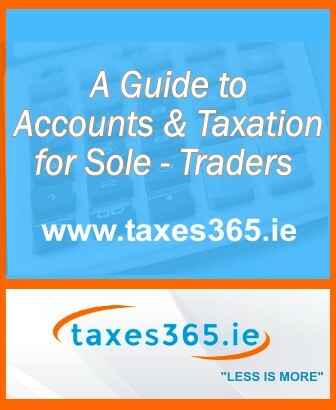 You must register for VAT if your Turnover is above or will be above €37,500 in any 12 month period. Even though you do not charge VAT to the main contractor, providing you are registered you may reclaim VAT incurred by you on business expenses. All transactions with Revenue must be conducted electronically through ROS, Therefore all principals not using the services of a tax agent (Accountant/Tax Advisor) must be registered for ROS. The current electronic system commenced on 1st January 2012, at which point the previous system of RCT Certs & C2s became obsolete. 0%. – This mainly applies to traders with a good tax record over the last 3 years. 20%. – applies to tax registered traders without any major tax problems but without the good three year tax history. 35% – Mainly unregistered traders or subcontractors with compliance issues outstanding returns etc. Foreign traders who can supply a letter from the foreign tax authorities confirming a good tax compliance record over a number of years may qualify for 0% rate. Principal contractors should ensure that they identify all subcontractors & must register each contract online before commencement. (We recommend obtaining PPS + copy of driving licence or passport + proof of address as standard.). Additional information needed to register a subcontract online is – subcontractors business name if different, country of residence & tax number in foreign country if foreign registered, subcontractors phone number, start date & end date or estimated end date of contract. Each separate contract must be notified. 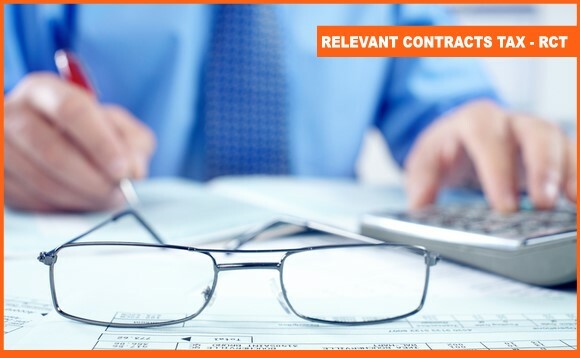 Subsequent contracts with the same subcontractor must be notified unless they are an ongoing contract. A contact is an ongoing contract if the terms do not change, the parties to the contract do not change and if moving sites the subcontractor does not have to submit a new tender. If there have been no payments in the previous year a new contract notification must be filed. Before making a payment a Principal contractors must notify Revenue online of the payment & will receive a notification advising the rate of deduction to make. The principal must give the Subcontractor a copy of the Revenue Deduction Authorisation received from ROS. If you are a Subcontractor you should ensure that the Principal gives you a copy of the deduction notification or similar document when paying you. This is to ensure that the tax deduction has been notified to Revenue. Before completing their periodic RCT Return a principal can view his deduction summary online make any amendments if necessary & then file online. If there are no amendments to be made there is no need to file a return, it will be deemed to be filed. All businesses can now view their current deduction rate and seek a review of that rate through the RCT section of their local tax office. Subcontractors will automatically have the withholding tax credited against Tax liabilities outstanding or as they arise. Revenue will issue a statement of account to you & repayment will only be made after the end of the year & only after all returns are filed & tax paid or offset. At taxes365 we meet with each customer in order to assess what accountancy and tax work needs to be carried out, discuss the possible tax savings available and answer any questions you have. The initial meeting is FREE and you will receive a fixed fee quote once you have met with us.